Shifting an object from one place to another is the only job of a logistics company, right? No, my friend, this context may be right in the past but not in the modern world. With the growing market demand, competition is also rising among the businesses. So, you have to make sure that your technology should be above all others. The Internet of Things (IoT) can be your secret weapon to defeat all others in the same domain and reach the top if you know how to use it. Some objectives of logistics companies are to ensure just-in-time delivery, supply chain visibility, product lifecycle transparency, and quality services. There are some pillars on which the success of a logistics company stands. Some of those pillars are inventory management and warehousing, automation of internal business processes, fast delivery and taking care of safe storage and quality of goods. 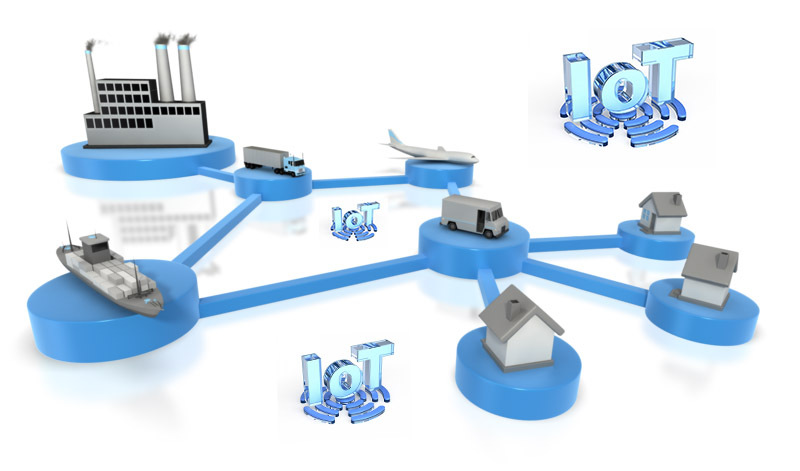 Most of the logistics companies have already implemented the IoT in their logistics business. But, only using the IoT will not make any difference if you don’t know which IoT application to choose. You have to know the fields in which you can implement this technology in your logistics industry. What you can achieve with the implementation of the Internet of Things? Transparency in both ends is one of the key factors that can take your logistics business forward and backward both. Transparency in the logistics industry does not mean you share all your confidential data with your clients. Rather, it means that you keep your clients up-to-date about some of the factors of their consignments. And IoT can do this task for you without wasting any of your precious time or money. The Internet of Things (IoT) provides a smart location management system that can track driver activities, vehicle location, and delivery status. Also, when the goods arrive at their destination, the receiver will be notified through a push message. Such an amazing technology is possible to have in a small device like a Smartphone. So, you and your client both will be able to get real-time data about the consignment. This is how the location management system of IoT improves the transparency between the seller and the client. The management of inventory items is a crucial part of the connected logistics ecosystem. Installation of just one small sensor in the inventory will help you to overcome the age-old issue. There is no need to worry about missing inventory items as the sensor will keep track of the inventory items, monitor their status and positions, and you will have one of the smartest warehouse systems. The logistics and transport industry have found a flame of revolution in their business with this exclusive IoT system. So, there is no need to worry about human errors after the installation of this amazing IoT technology. The IoT is one such technology that enables the users to get various analytical data about different stages of the industry. The predictive analysis helps various companies and corporations create effective business development strategies, managing the risks, improving the decision-making process, make smart business insights, and do various other things. All the data collected through the internet-enabled devices are transmitted to a central system. Further analyzation of data takes place in the central system. 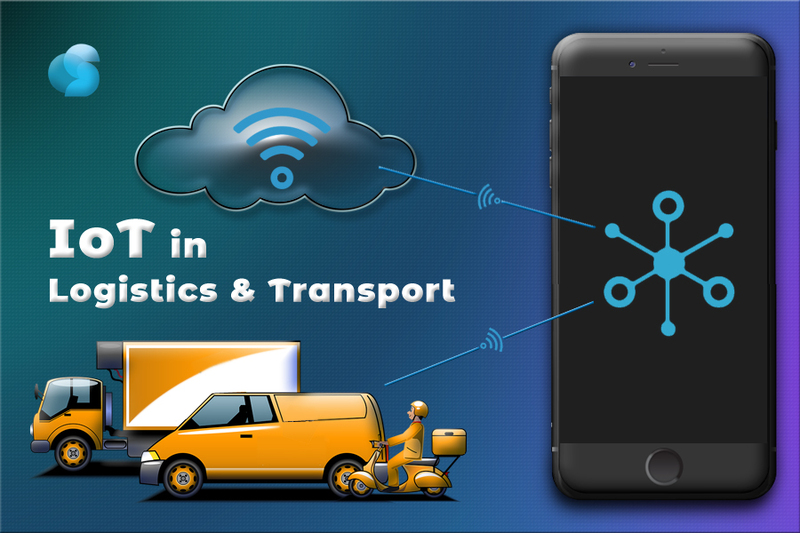 When this feature of the Internet of Things (IoT) combines with the logistics, you can easily understand various drawbacks of your business and improve them. You can apply those improvements to various sectors of your business like route and delivery planning. Also, the analytical data will help you in the timely repairing or replacement of the machinery parts, avoid serious issues and accidents in the future. There are lots of problems faced by the logistics and transport companies like illegal food practices, keeping track of the food conditions, and many more. So, every logistic company and their clients both want to keep track of the product’s life-cycle, i.e. from the origin of the goods to their delivered point at the client’s location. The installation of a radio-frequency identification tag and sensors will allow you to track various other factors more than just location. You can keep a record of the product temperature and humidity, vehicle location and stages of the transportation process. The blockchain store all the collected information. So, only you can access those data and overcome the transportation’s problems. When you are in the logistics industry, it is obvious that you have to manage a huge number of vehicles. The management task takes lots of money. Not only that but also the fleet management includes maintenance schedule, everyday vehicle usages and service routes. Sometimes, the owner is concerned that their drivers are not taking care of their vehicle properly. They are doing rough driving, overloading, etc. Many times, they do not inform the owner about an accident. The IoT can solve all such problems. A sensor in the vehicle will keep records of second to second data of the vehicle which you can access from your mobile or other IoT connected devices. Just by replacing all the manual and hard-copy based work into the Internet of Things (IoT) based devices like a Smartphone, you can complete all those procedures with just a few clicks of a button. Furthermore, you will get a more accurate data of the maintenance history, parts availability and inventory records. From the above, it is very much clear that the advancement of the IoT has drastically improved the logistics and transport industries operations. Proper use of modern technologies like IoT is the best way to take your business towards a successful and innovative future. Openweb Solutions is one such company that can make this possible for you. They provide complete solutions of the Internet of Things (IoT) software. From capturing of the data and storing it in the cloud to help you access all the information in your device, they provide the complete software solution and support. Their backup and database are huge where data of every second is recorded without any issue. They have highly skilled and supportive developers. They can handle such complicated and huge technological base. You can contact them today through their email id sales@openwebsolutions.in. Hi! I am currently working as a Branding Specialist in Openweb Solutions. Besides doing my job, I have a passion to write.